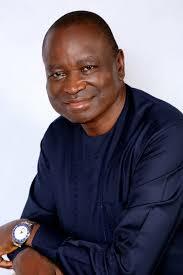 The All Progressives Congress (APC) governorship candidate in Enugu State for the 2019 general election, Senator Ayogu Eze, has promised to restore hope and confidence in the people, by embarking on several meaningful people-oriented programmes and projects if elected governor. In his New Year message, titled, “It is well with Enugu State”, where he asked the people of Enugu to embrace love and peace in 2019, Senator Eze said Enugu State will experience a new lease of prosperity and even development when his government takes off in May 2019. The Enugu APC guber flag bearer implored Enugu people to be prayerful to ensure that negative forces do not thwart their collective will to install a government that will work for them. Promising to create jobs through innovative re-engineering of the agricultural and housing sectors, the former Chairman Senate Committee on Works told the people to come out in their numbers to cast their votes for President Muhammad Buhari and the APC, saying the APC will wipe their tears by putting in place best governance practices in the state. He pledged to pay Enugu workers a living wage that will be commensurate with their contributions and sacrifices in building the State, assuring pensioners that their agony is over as they would be paid their entitlements promptly. The ex-lawmaker equally vowed to restore within his first six months in office as Enugu governor community lands that have been stolen from them devoid of due process by government. He noted that “Security and welfare of the people is the primary purpose of government” and said it was “therefore criminal and unconscionable to dispossess the people of their land”. The erstwhile Enugu North Senator stated that the time “when governments acted with impunity ended with emperors of the medieval age and may be with the end of military rule in Nigeria”, adding that in a democracy power belongs to the people. “We have long dispensed with imperial governors. They have no place in modern democracy. Those who forcibly take community lands and property will face the music when they no longer have immunity,” Eze remarked, urging the people to be patient as his government will “restore their rights and privileges that have been stolen by the outgoing government”. Senator Eze also told the people that he will rebuild “the totally comatose health sector of the State”, adding that he would make healthcare free for women and children. The APC governorship hopeful described 2019 as a year when true peace will return to Enugu State, maintaining that the current state of affairs was an era of peace of the graveyard, where people have been forced into silence by an adept deployment of propaganda and subtle coercion. Thanking the people of Enugu State for declaring en masse for the APC, he begged them to conduct themselves properly and refuse to be used for violence and rigging during the coming elections. He assured them that the APC government in Enugu State will change the fortunes of the state within its first year in office, proclaiming that Enugu will soon become one of the reference states in Nigeria, in the area of development and good governance.